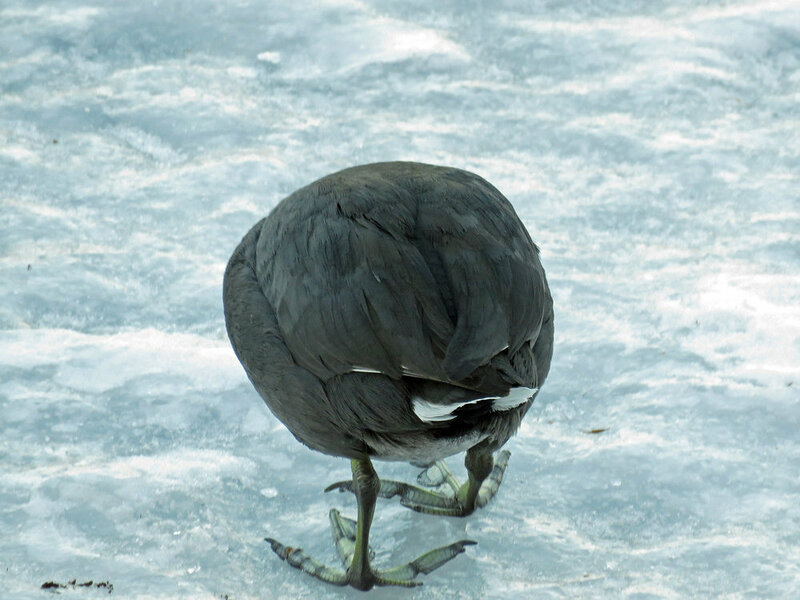 American coots (Fulica americana) are funny, funny birds. They're not ducks, but are sort of the "chickens of the sea," because their shape is more chickenlike and they can be found on both fresh and salt water bodies. They may have the best feet of any bird around — I call them fern feet.